At Walkinshaw Performance Western Victoria we have the experience and knowledge to deliver you a special range of Walkinshaw products and service. 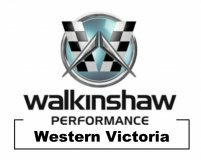 We are proud to be the only authorised Walkinshaw Performance Products Distributer for Western Victoria and we provide both retail and trade customer service for our area. We work hard to exceed your expectations in delivering you the ultimate in performance. We take care when service or work on your car and specialise in preventative maintenance, servicing & modifications of your ultimate driving machine. Great WPP products, in house Mainline Dyno tuning, top quality-cost effective specialist servicing for the full Holden and HSV range as well as all prestige, performance and every day cars.